My Dirty Little Secret ;D. He's my Dirty Little Secret ;). 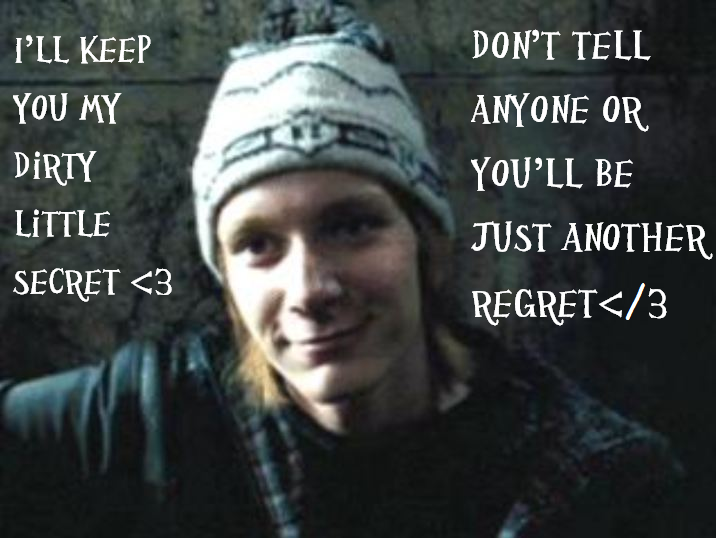 Wallpaper and background images in the Fred Weasley club tagged: fred weasley. 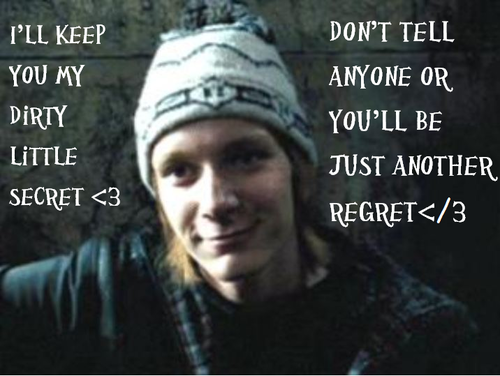 This Fred Weasley fan art might contain zeichen, plakat, text, tafel, schilder, and poster.